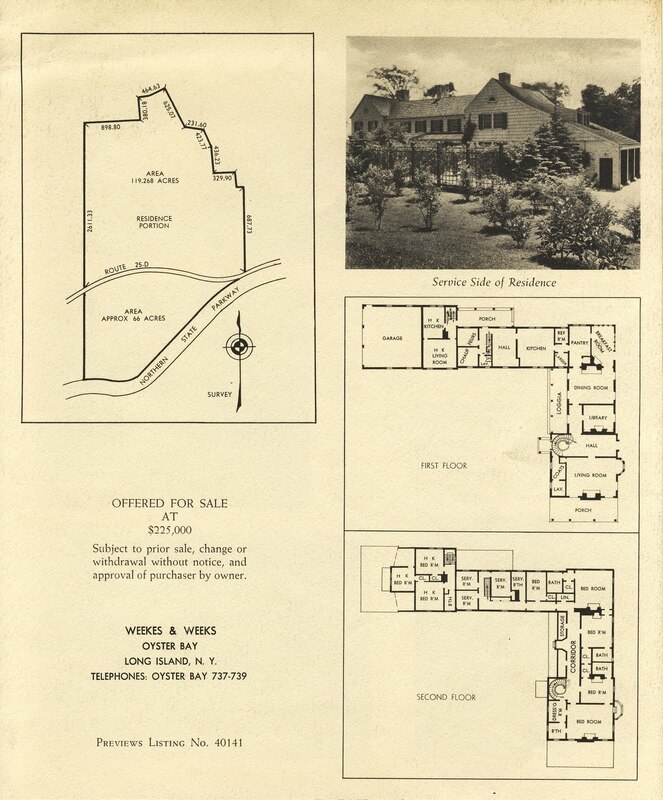 A brochure advertising 'Weekend', the Edward Stephen Harkness estate designed by Cross & Cross c. 1922 in North Hills with landscaping advice apparently by Beatrix Jones Farrand. Harkness donated over $100 million to various charities throughout his lifetime (equivalent to $2 billion in 2005) and at the time of his death in 1940 was worth $97 million. His father, Stephen V. Harkness was one of J.D. Rockefeller Sr.'s early partners. S.V. Harkness had discovered J.D. Rockefeller when he was in a serious financial crisis and invested his entire life savings of $70,000 to keep the oil business going (I would say it worked out well for them). Edward was a director for various railroad companies and without any children he focused on distributing his fortune through various grants and donations. He seems to have acquired the philanthropic bug from his mother who had given away more than $30 million by the time of her death in 1926. Harkness gave most of his money to colleges, schools, libraries, museums and hospitals and much of the time did so anonymously. According to his obituary (which is huge), "his father was the wealthiest Rockefeller partner. 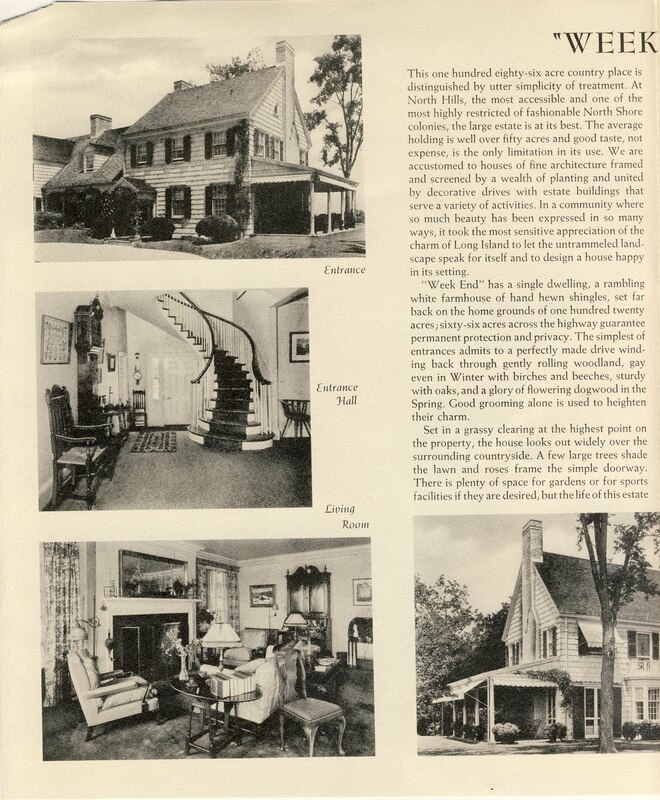 His mother's estate was the greatest until that of Payne Whitney was valued; it was appraised in 1928 at $107,052,494 and Mr. Harkness received $93,494,332 in the residuary bequest. His brother, Charles W. Harkness, who died in 1918, left $60,000,000 of which $36,187,871 went to Edward S. Harkness as chief beneficiary." He and his mother paid two of the top ten highest income taxes in the country in 1926. 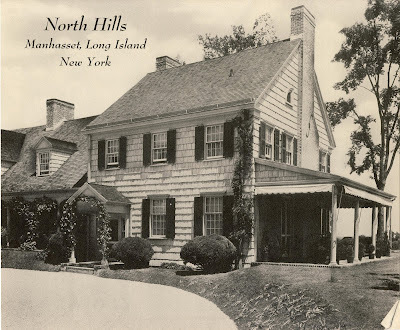 Part of the estate now makes up the North Hills Country Club and I do not know if the house is still standing. As far as I know the house was knocked down. 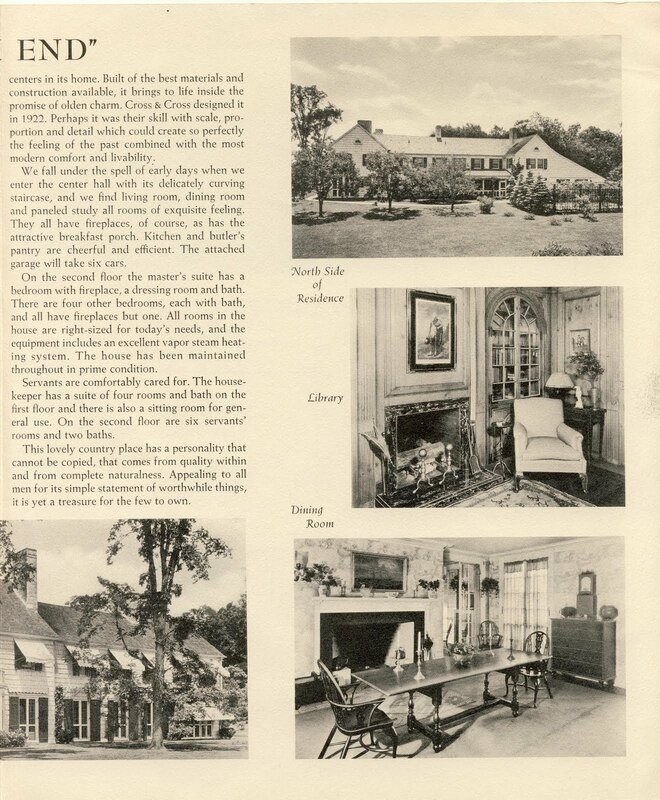 The house you show belonged to Vincent De Roulet who married the daughter of Joan Payson. You wouldn't happen to have a year or decade would you? Another architectural firm that deserves a book...they designed suave understated houses, beautifully planned, in a variety of styles, including Sister Parish's childhood home in NJ. i can see how he got to keep all that money - he didn't spend any on his house. those awnins got me yawnin'. its still standing - dilletante moved in yesterday. and you can see the garage from the house - how gauche. regardless of whether that house you refer to is it or not, what the heck is that growing to the left of the drive - an obviously on purpose planting of something deciduous as its shown on bing both with and without leaves. i think antelope is right. that isn't it. According to Nassau County the house was built in 1932. 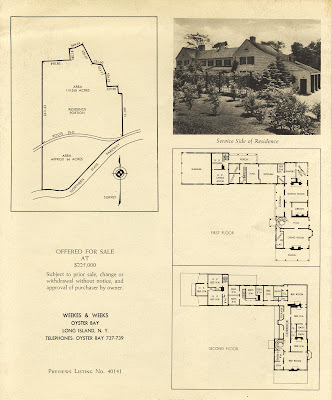 On a 1939 map the property was shown belonging to Joan Payson. The house and land was most likely given to the Deroulets by the Paysons. Thanks. I never noticed that little line on the '39 that connects the Payson property that is farther north with this strip of land. being from maine and going to college in portland, my summer job was putting up fences and we put up a 2000 foot cedar fence around one of the several Payson properties in Falmouth, Maine. they invited us dirty grubby laborers in for tea and cookies. one of the paysons had an enormous collection of carriages and buggies and used to open their house for the annual garden tour - well worth seeing. love this farm group. its classier than that little house from yesterday. we didn't have a library quite like that in our "farm group" when i was growing up. just a Sears catalog and a lot of manure. A James Gamble Rogers design. Not only did Rogers design this home he was involved in many Harkness family projects including NYC's Harkness Towers and the family resting site at Woodlawn Cemetery in the Bronx. Both Neo-Gothic masterpieces.